Upon the occasion of Walt Whitman’s birthday, an exchange of letters between the poet, then tending the Civil War wounded in a Washington military hospital (where he first went to search for his missing brother, then remained) and Lucia Russell Briggs of Salem, the wife of George Briggs, the pastor of the First Church. I have been very much interested in your hospital work, of which I have heard through my brother, Dr. Russell of Boston. I inclose seventy–five dollars, which I have collected among a few friends in Salem, and which I hope may be of some little service to our brave boys, who surely should not suffer while we have the power to help them. You have our warmest sympathy in your generous work, and though sad to witness so much suffering, it is indeed a privilege to be able to do something to alleviate it. I hope to be able to send you an addition to this contribution, and thought of waiting for a larger sum, but I see that you are having numbers of sick sent in to Washington daily, so you will be in immediate want of money. Mrs. George W. Briggs, April 21. Salem, Mass. Your generous remittance of $75 for the wounded & sick was duly received by letter of 21st & is most acceptable. So much good may be done with it. A little I find may go a great ways. It is perhaps like having a store of medicines—the difficulty is not so much in getting the medicines, it is not so important about having a great store, as it is important to apply them by rare perception, honest personal investigation, true love, & if possible the inspiration & tact we in other fields call genius. The hospitals here are again full, as nearly all last week trains were arriving off & on from front with sick. Very many of these however will be transferred north as soon as practicable. Unfortunately large numbers are irreparably injured in these jolting railroad & ambulance journeys, numbers dying on the road.—Of these come in lately, diarrhea, rheumatism & the old camp fevers are most prevalent. The wrecks in these forms of so many hundreds of dear young American men come in lately, are terrible, & make one’s heart ache. Numerically the sick are the last four or five weeks becoming alarmingly greater, & in quality the cases grow more intense. I have noticed a steady deepening of this intensity of the cases of sickness, the year & a half I have been with the soldiers. Hospital accommodations here are being extensively added to. Large tents are being put up, & others got ready. My friend, you must accept the men’s thanks, through me. I shall remain here among the soldiers in hospital through the summer, with short excursions down in field, & what help you can send me for the wounded & sick I need hardly say how gladly I shall receive it & apply it personally to them. Source: Francis B. Dedmond, “‘Here Among Soldiers in Hospital’: An Unpublished Letter from Walt Whitman to Lucia Jane Russell Briggs” New England Quarterly 59 (December 1986): 547–48, via The Walt Whitman Archive. 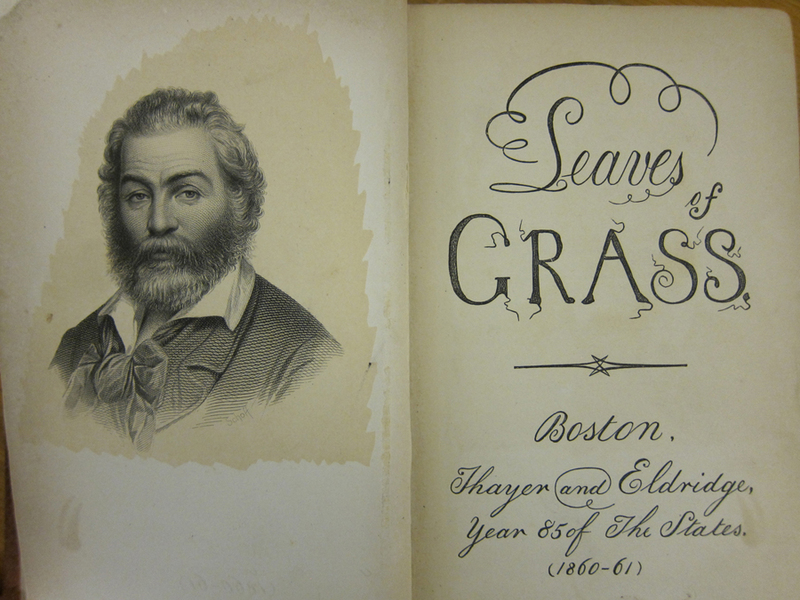 This entry was posted on Thursday, May 31st, 2012 at 6:17 am	and tagged with abolitionism, books, Letters, Walt Whitman and posted in History, Salem. You can follow any responses to this entry through the RSS 2.0 feed. What a moving blog. Thank=you. As a child my family were Civil War buffs, and we visited many Civil War related museums and battlefields. The suffering of the soldiers and their families was awful. Thank you so much, Susan and Anne; I found these letters very poignant as well.